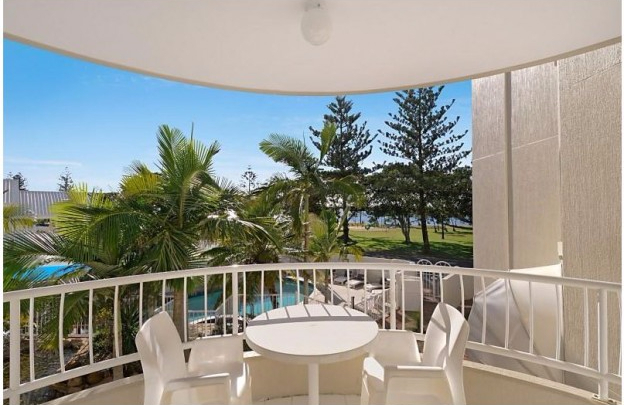 The Golden Shores Holiday Club overlooks the Gold Coast's legendary Broadwater. Being only three stories high, you can walk up to all units easily. Your home base will be one of 16 spacious, self-contained apartments that accommodate up to 6 people. You can look forward to a fully equipped kitchen, video player and television, not forgetting an in-room safe for your valuables and a private balcony to catch a little cooling sea breeze. You may never need to leave the resort thanks to a cool blue swimming pool, table tennis and billiards tables, a children's play area, as well as a club lounge, spa, sauna and a handy BBQ area. 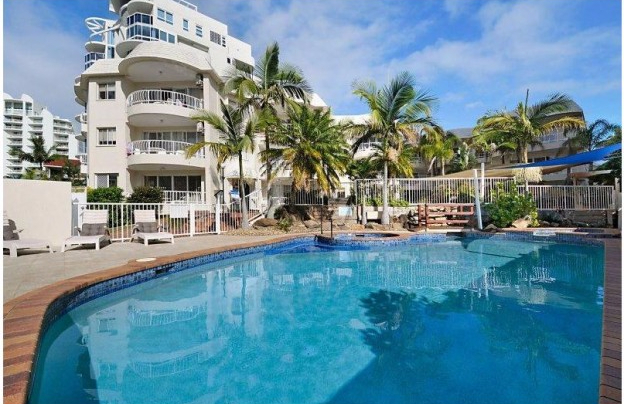 However, when you do venture out of the Golden Shores Holiday Club, you'll find you are only minutes from Surfers Paradise and all the beautiful Gold Coast beaches. You'll also be located conveniently close to cinemas, shopping centres, restaurants, clubs, mini golf and even bungee jumping, not to mention the world-famous Gold Coast theme parks. You're also close to Seaworld and the excellent restaurants and cafés of the renowned Marina Mirage. If a relaxing and peaceful escape conveniently close to Surfers Paradise to is your idea of a perfect holiday, Golden Shores Holiday Club might just be your idea of heaven. Golden Shores is located at the Southern entrance to Marine Parade, Labrador. From Brisbane Airport, take Highway 1 south to the Helensvale South exit. Follow that to the Broadwater and turn right onto Gold Coast Highway (Frank Street). Take the 1st left onto Marine Parade. From Coolangatta Airport, take Gold Coast Highway north to Labrador (past Australia Fair Shopping Centre).Take first right onto Marine Parade after the Lotus Creek bridge.